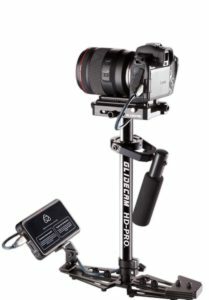 For the past twenty-five years the Glidecam HD-PRO has represented the most affordable and full featured hand-held camera stabilizer the Glidecam Industries, Inc. has ever offered. Machined and forged with the operator in mind, the Glidecam HD-PRO delivers the state-of-the-art sophistication and design that the company is famous for. 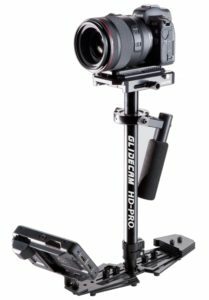 With its new and meticulously designed features, the HD-PRO combines the best components of the Glidecam HD-Series with some of the high-end professional features normally found exclusively on the camera sleds of the more elaborate body-mounted systems. It is designed for film and video cameras weighing up to 10 lbs. (4.53 kg. ), and the lightweight stabilizer allows the camera footage to be smooth and professional.